This is your peace place. Off of the beaten path with over .5 acres! 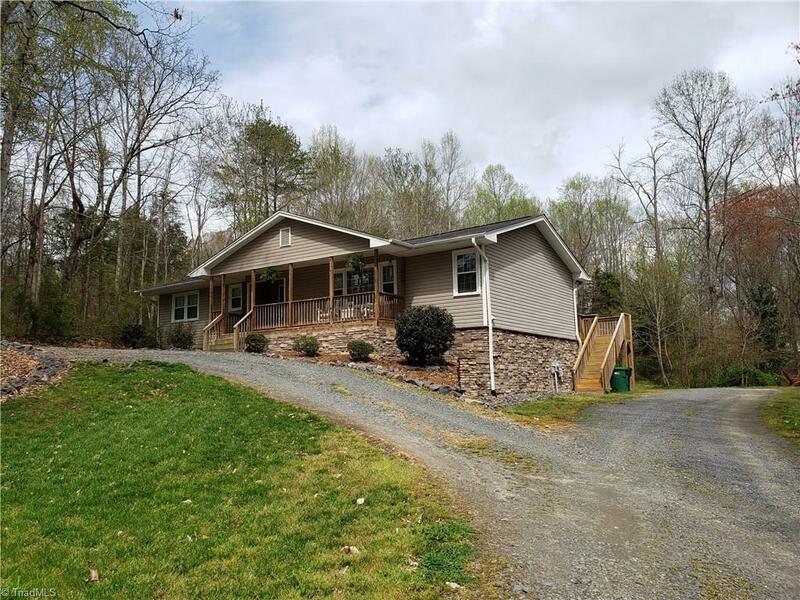 Convenient to all that Clemmons offers yet tucked away on a nicely wooded lot. The deck oversees a secluded backyard offering a buffer from the city. Very nicely appointed with fresh paint and beautiful updates including Ceramic tile, Open Kitchen concept, and beautiful light fixtures. All appliances stay. This is a must see. It has it all! Location, Charm and Value!